Well kept 2 bedroom home with high basement near Fraser Street. Furnace replaced in 2012 and hot water tank 2015. Sunny south exposed yard with greenhouse under the sundeck is great for the avid gardener. The full height basement has 1 bedroom suite which could easily be expanded into a 2 bedroom suite. 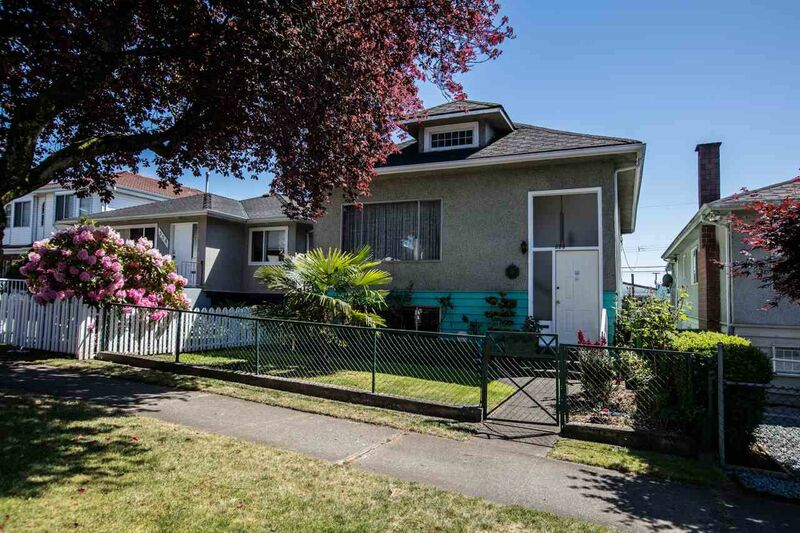 Close to Sunset Ice Rink and Community Centre, Main Street shopping & Langara College. Open House, May 21/22, 2-4pm.